HealthTechS3 (HTS3) is pleased to announce that Faith Jones, MSN, RN, NEA-BC has been re-elected to a second term on ANA's Board of Directors. HealthTechS3’s Director of Care Coordination and Lean Consulting, Faith Jones MSN, RN, NEA-BC, has been re-elected through December 2018 to the American Nurses Association (ANA) Board of Directors. This is her second term on the board. The ANA Board consists of four officers and five directors-at-large. Their purposes are to work for the improvements of health standards, availability of care, advocate for workplace standards, and promote professional development of nurses. At a national level they are also responsible for initiating and influencing legislation, governmental programs, and health policy. 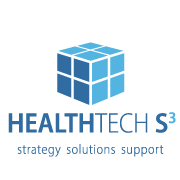 HealthTechS3 is an award-winning healthcare consulting and hospital management firm headquartered in Brentwood, Tennessee with clients across the U.S. We are dedicated to the goal of improving performance, achieving compliance, reducing costs and ultimately improving patient care. Leveraging consultants with deep healthcare industry expertise, HealthTechS3 provides actionable insights and guidance that supports informed decision making and drives efficiency in operational performance.